This is sure to be one of the most raucous, entertaining tours of the summer for punk and nerd-rock fans. 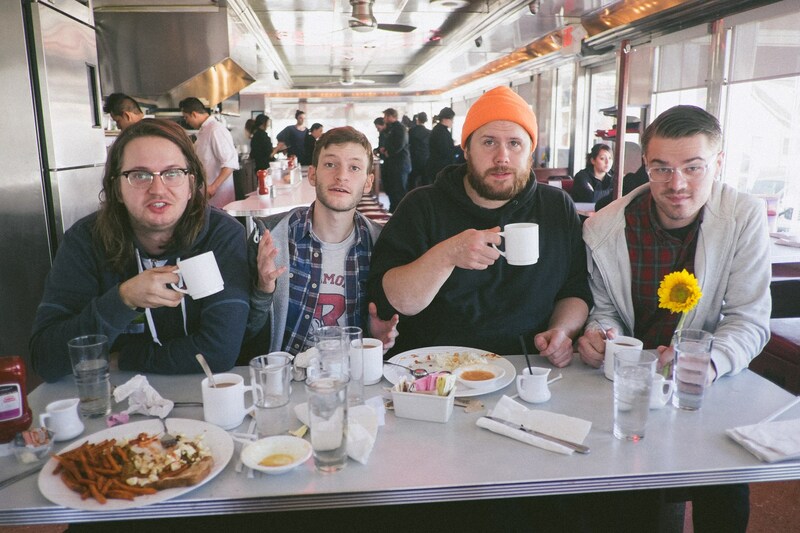 PUP, who will surely be supporting their highly-anticipated, upcoming sophomore LP, have announced a 16-date headlining tour with new SideOneDummy labelmates Rozwell Kid, along with Charly Bliss and Pkew Pkew Pkew opening on select dates. The tour, dubbed ‘If This Tour Doesn’t Kill You, I Will,’ will kick off on June 1 in Pontiac, Michigan before working its way out to the West Coast, with stops in Washington, Oregon and California, then heading back out East where it will wrap on June 25 in Brooklyn, New York. The full routing can be found below via tour flyer. Tickets will go on sale this Friday at 10am local time. Not long ago, PUP released the lead single from their forthcoming album, recently revealed to be titled The Dream Is Over. You can stream “DVP” below with its excellent lyric video. Rozwell Kid’s last release was the fantastic EP, Good Graphics, which can be listened to in full here along with the rest of their equally great catalog.